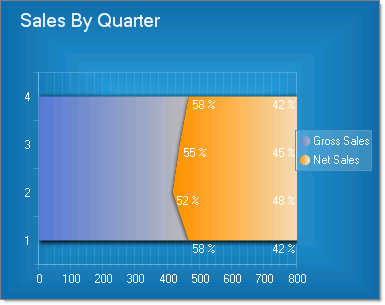 To create a Vertical Stacked Area 100% Chart set the SeriesOrientation property to Vertical. Set the RadChart DefaultType property or ChartSeries.Type to StackedArea100. 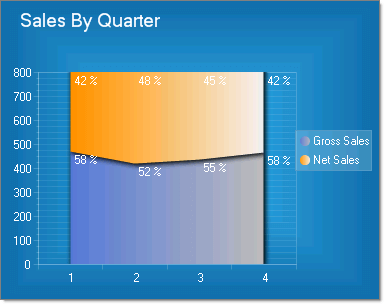 To create a Horizontal Stacked Area 100% Chart set the SeriesOrientation property to Horizontal. Set the RadChart DefaultType property or ChartSeries.Type to StackedArea100.